Equipment and supplies. Service and expertise. For more than 25 years, Sightpath has been providing surgeons and facilities access to the very latest cataract surgical equipment, instruments and supplies without the initial capital outlay, maintenance expense and upgrade costs that come with ownership. Ensure superior patient outcomes with the most advanced equipment available, including the new Alcon Centurion system. We proudly offer next-generation phacoemulsification systems from Johnson & Johnson Vision, Bausch & Lomb and Alcon, along with YAG lasers from Nidek and ELLEX. For our cataract clients, we always bring a backup phaco system to ensure a successful, productive surgery day. 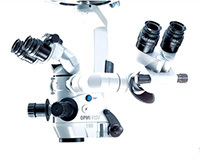 OPMI Lumera® i surgical microscopes from Carl Zeiss feature revolutionary red reflex technology, letting you experience more contrast, brilliance and stability than ever before. 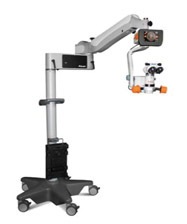 OPMI® VISU 160 was designed specifically for hospitals that perform a broad spectrum of procedures in ophthalmic surgery. The versatile configuration and accessories are perfectly tailored to meet the needs of the surgeon. The LuxOR™ family of ophthalmic microscopes combines multiple innovations and proprietary technologies, each enabling superior visualization throughout the procedure as well as improved ease of use when positioning or programming the microscope before or during a cataract surgery. Leica microscopes are modular and expandable. They meet the specific requirements of educational institutions and small clinics with limited space in their operating rooms. The only intelligent phaco technology that automatically and continuously adapts to changing conditions within the eye provides greater anterior chamber stability, and places optimized energy technology at the surgeon’s fingertips through enhanced fluidic management. Featuring OZil® Intelligent Phaco software upgrades, the INFINITI® Vision System puts optimized OZil® torsional emulsification at your fingertips. With enhanced fluidic management and surgical control, the INFINITI®Vision System delivers the strategic advantage in customized phaco procedures. Surgeons customize the Stellaris® Vision Enhancement System based on individual fluidics preference. When you choose the advanced EQ flow-based module, you experience solid chamber stability throughout the procedure. The WHITESTAR Signature® System combines the safety of Fusion® Fluidics with the cavitation of WHITESTAR® Technology. The integration of these technologies creates the versatility needed to remove both hard and soft lenses. Ellex YAG lasers feature state-of-the-art technology to help you achieve precise optical breakdown at the lowest possible energy levels. They also deliver exquisite focusing, helping you experience higher accuracy, greater control and safer procedures. The compact Nidek YC-1800 is small and light. 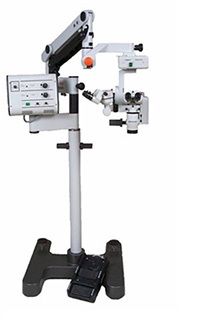 All controls are located on front of the slit lamp for easy adjustment of parameters. The Smart Switch joystick allows fingertip control of energy adjustment and laser activation right from the joystick. Over 40 adjustable anterior & posterior offsets allow greater shot accuracy, fewer missed shots and less lens pitting. Combined with excellent optics and fast operation, the Nidek YC-1800 is preferred by thousands of surgeons around the world. Sightpath Medical offers a wide array of cataract and YAG surgical instruments to address your needs and preferences. Find versatile, durable trays to meet your specific instrument requirements. Available manufacturers include Storz, Katena, Ambler, Millenium Surgical & Rhein. Our broad selection of IOLs is made up of all the trusted brands including posterior, anterior and specialty lenses. We can handle the entire ordering and inventory management process, so your staff can spend less time on busywork and more time on patient care. Sightpath provides access to IOLs from all of the top manufacturers and vendors including Johnson & Johnson Vision, Alcon, Bausch + Lomb, STAAR Surgical, Lenstec, Rayner and Aaren Scientific. From gowns, gloves and syringes to blades and more, it’s the surgical supplies that are the unsung heroes of every successful procedure. Sightpath provides access to supplies from all of the top manufacturers and vendors. Packs can be customized to surgeons’ preferences, including but not limited to gowns, drapes, gloves, syringes and more from top manufacturers such as Alcon, Cardinal and Bausch & Lomb. Sightpath provides the phaco packs for Alcon, Johnson & Johnson Vision and Bausch and Lomb phacoemulsification technologies. We supply disposable blades from a variety of vendors including Sharpoint, Alcon, and BVI, as well as diamond blades from assorted manufacturers. Viscoelastic from leading suppliers such as Alcon, Johnson & Johnson Vision, Bausch & Lomb and STAAR is available to Sightpath customers. We can provide the appropriate vitrecomy pack for your phaco machine. This Flint, MI, practice has found that partnering with Sightpath has allowed them to be flexible and responsive in line with several economic drivers which influence their success. Dr. Diskin discusses how his practice integrates with Sightpath’s staff to create one cohesive surgical family, providing quality care. Come along for the ride on a typical cataract case day, this one taking place in Outerbanks, NC. A sneak-peek at a Sightpath cataract installation. A cataract surgeon explains how Sightpath has allowed him to stay on the cutting-edge of technology.